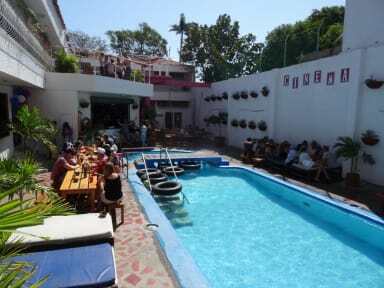 Come experience coastal Colombia and all that Santa Marta has to offer at the Drop Bear Hostel. We are also the central hub of Santa Marta for your day trips, treks and tours. Perfectly placed for easy access to the city centre, PARQUE TAYRONA, THE LOST CITY, DIVING, TAGANGA, PALOMINO, MINCA AND MUCH MORE. As well as nearby supermarkets and ATMs. The hostel in extremely spacious with a restaurant, self-catered kitchen, massive TV/chill-out/games room, Bar, gardens, lots of hammocks and a giant pool. Not to mention the most comfortable and clean beds in Santa Marta.